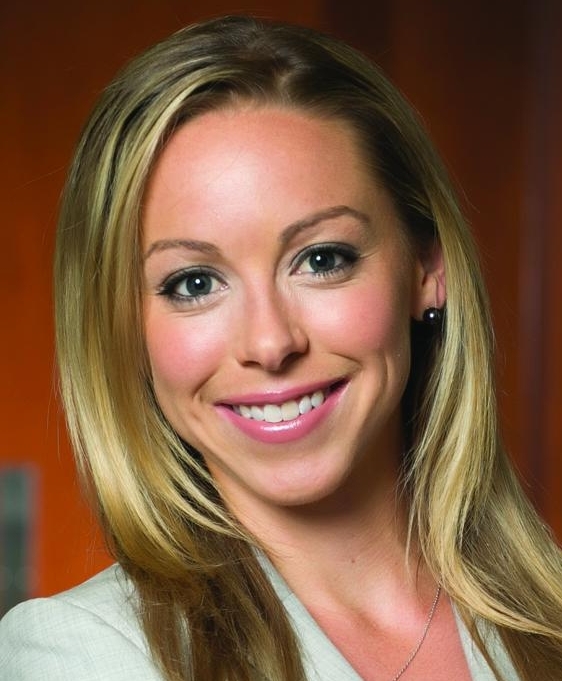 In the third installment of our 74&W Exclusives series on blockchain and cryptocurrency, we spoke with Emily Garnett, an attorney with deep regulatory experience at Brownstein Hyatt Farber Schreck, a leading national law firm. Here she discusses how fraudsters have managed to scam consumers, conning them into investing in fraudulent cryptocurrency businesses, and what is being done to educate the public so fewer people fall victim to the ruses. She also discusses the complexities of regulation when it comes to cryptocurrency, and how legitimate blockchain and cryptocurrency firms are amongst the loudest voices advocating for the prosecution and elimination of fraudulent cryptocurrency companies. If you could, give us some background about your work. Sure. I am an attorney at the law firm of Brownstein Hyatt Farber and Schrek, and I’ve been here for six years, focusing mostly on consumer protection issues and securities. My practice generally involves representing financial institutions, banks, fintech companies and now more recently, virtual currency businesses that are looking to navigate state and federal regulations for compliance and registration. Sometimes those are companies that are domestic-based that are already in the fintech space and they may or may not be using blockchain. And then sometimes they're more traditional international securities companies that want to come to the United States and bring a platform so that individuals can trade virtual currencies. So again, in that scenario, they aren’t necessarily connected to blockchain other than offering virtual currencies that may be supported by a blockchain technology. So it seems like this is a whole new world, uncharted territory in a lot of ways. Is it challenging to work in this space because of that? Is it exciting? It’s super-exciting. I think we’re at the cutting edge of technology, and we’re at the forefront of a new area of law, which comes with its own challenges, for sure. The federal securities acts were written in 1933 and 1934, and so at least from the context of federal securities regulations, we’re taking 90-year-old law and applying it to technology that really kind of came out in the last 10 years. That creates some challenges, but it’s exciting to work with people who are really revolutionary in terms of the financial space and what we can do with blockchain. Is this 90-year-old law sufficient or broad enough to cover transactions and businesses and technology like this, or do you feel that it needs to be updated to more specifically address this kind of evolution? That’s a great question, and one that the industry is really grappling with. That early legislation defines securities to include investment contracts. There have been a couple of [test] cases, including SEC v W.J. Howey. The Howey Test has a four-point prong analysis for determining whether or not an investment contract is a security. And from the context of federal regulation, it really is what’s been guiding us on whether or not virtual currencies constitute a security such that they would have to go through the normal process for registration with the SEC. And what we’re finding is that some of these virtual currencies most likely do fit that analysis, but others don’t. And just last month, one of the individuals from the SEC’s capital market team gave a speech where they said that Ethereum is not a security. That was the first time we really got clarity on that. So, going back to your question, we’re not sure yet whether or not the federal regulations are sufficient to be able to address how the federal regulators want to oversee the industry. As of now, you know, the SEC has within its jurisdiction the ability to prosecute individuals that are committing securities fraud, and a lot of these ICOs that are fraudulent easily meet that test. But we will see whether or not we start to get into areas where defendant virtual currency businesses are able to persuade a court that they're not issuing securities such that we would need something more robust in the federal jurisdictional space. I will say briefly that the SEC isn't the only agency that could potentially have or does have jurisdiction in this space. The CFTC, which is the Commodities Futures Trading Commission, and the FinCEN, which is under the Treasury Department, also have aspects of jurisdiction. And so when we’re thinking about jurisdiction in the future and regulation in the future at the federal level, we also have to think about how these different agencies are going to be able to coordinate and whether or not there’s effective mechanisms underlying preexisting statutes and regulations to be able to make sure they're cooperating in a way that doesn’t suppress the industry and its innovation. It’s interesting that Ethereum was ruled as not a security. But it is undoubtedly a currency, correct? You know, I don’t know if the CFTC has taken a position on that. They have said that bitcoin is a currency. I think that they have, but I’m not positive on Ethereum. And whether or not something is a commodity also is a question. And conceivably, you could see something be both a commodity and a currency and a property right that’s taxable. So it’s not fitting neatly into any specific regulatory boxes. This brings up a perception that a lot of people have, this public view that cryptocurrency is a sort of Wild West, a lawless place where there are no rules. Is that correct? Or is it less a matter of there being no rules and more a matter of just not knowing which rules necessarily apply? Setting aside the kind of Joe Public perception for the moment, what we’ve seen over the last year within the industry is that individuals are becoming much more sophisticated about which federal and state regulations apply. So from an industry perspective, you would have to be pretty naive to think that there aren’t any rules or regulations that you have to comply with at this point. Let’s say you’re conducting an initial coin offering (or ICO). That would include not only an analysis of whether or not you have to register with the SEC, but also an analysis of whether or not your ICO would be triggering state money transmitter licensing requirements. For example, Coinbase has been one of the key players in this space. And on their website, they have a tab that says “Legal,” and it identifies all the different state jurisdictions where they’ve registered as money transmitters or the equivalent. So I think if you’re coming into this space, you have enough examples at this point to be able to point you in the right direction for what federal and state regulations you have to comply with. The bigger concern is that there has been a gap between the industry’s regulatory awareness of fraud and then the common Joe investor’s awareness of fraud. And so there’s been a lot of efforts at both the state and the federal level to educate individuals about the process for these companies to be registered. So at the very beginning, we saw, for example, ICOs that were saying, “We’re SEC-approved,” which was completely fraudulent. And now you’re seeing the SEC come out with mock websites offering Howeycoins, where going back to the reference to the Howey test that I made earlier, the SEC created a fake website that looks like what you might see in a promotion for an ICO. It’s got celebrity endorsements, it’s got unreasonable promises of returns of, you know, 1,000 percent in one year. It’s got a mock white paper that makes outlandish claims. And it’s really designed to teach investors about the warning signs or red flags that they should be on the lookout for when considering investing in virtual currencies. That’s fascinating. So the SEC is just trying to tune consumers in to this new flavor of fraud? Yeah, that’s exactly right. Here’s what I compare it to. For a long time we would get these mailings in our mailbox that said, “Call this number, you will get your prize.” And little by little, people become more sophisticated to recognize and be skeptical of those types of mailings. Same with the email phishing scams where we would randomly get a relative in a foreign country that needed help to get out of jail, wire money here. Little by little, you know, people start to become more sensitive to areas that they need to be skeptical of. And with this industry, the types of people to invest in an initial coin offering or virtual currencies are going to be those that are a little bit more online, on Twitter, maybe a little bit more dialed into the digital world. And unfortunately Twitter is just this rampant space for fraud. You’re seeing individuals in the virtual currency space –journalists or key investors in the space– having their Twitter accounts hacked. Individuals make mock or fraudulent copies of the account and then go online and promote to these investors, “Hey, we’re giving away 10,000 Ethereum coins, send us your information.” And the industry itself has really tried to make individuals more aware that if you see an advertisement giving away Bitcoin or Litecoin or Ethereum, be skeptical, have your guard up. And if it’s followed with a celebrity endorsement, be wary. Most likely the celebrity is not actually behind the technology. And so I think little by little we’re seeing the investor space become more sophisticated and more sensitive to this kind of perpetuation of fraud. Some of these frauds are pretty audacious–saying they’re SEC-approved, using false celebrity endorsements. The level of unsophisticated, blatant lying is surprising. How would anybody ever think they could get away with making claims that could be so easily debunked? Yeah. I think it’s important to kind of keep the scale in mind. The Wall Street Journal did an analysis where they went through about 1500 ICOs and found that about 18 percent of them, or around 270, I think it was, showed serious or egregious signs of red flags and potential fraud. And to come to that conclusion, they found that the website and maybe white papers or biographies were completely plagiarized, or the business models were copied. And I think that’s characteristic of the type of fraud that we’re seeing in the ICO space. So what you have to look out for as an investor is for example where they have a biography of the founders and advisors of the ICO, and it turns out, lo and behold, these people don’t exist, they're stock photos. Or there have been a couple of examples where they’ve taken photos from other people’s LinkedIn pages and used those to kind of create a mock founder team. Folks have to be very careful about doing the research on the individuals that are behind the technology. We’ve seen other examples where they’ve taken whole portions of white papers. So the white paper is really kind of like your prospectus for the underlying purchase of the token or the virtual currency. It’ll explain flow of funds. It’ll explain the business model. It’ll explain the underlying technology. If they're using blockchain, how they're using blockchain, whether or not they're going to operate in a decentralized fashion at some point like bitcoin, how they plan to get to that point. Sometimes we’re finding that those white papers are just plagiarized copies of other people’s white papers. And you know, the tragedy in fraud in general – and this isn't unique to the crypto space, by any means – is the reason why it happens is because it works. What are some of the worst cases you’ve seen? I was reading the other day about an ICO that they’ve now tracked back to Lithuania, where the promoters had promoted a new virtual currency. They raised about $5 million. And they said that the launch date was going to be in June of 2018. June of 2018 comes around, their Twitter page goes dark. Their web page goes dark. And these individuals that have invested in this virtual currency that has no underlying, tangible value, are now out of luck. So it’s unfortunate. It’s unfortunate for the good players in the industry, which frankly are the ones that hire me and ask me for counsel. And it deters common-Joe investors, again, from getting in this space, because they're worried about fraud. I think we will see different ways to tackle this problem, both from a regulatory perspective but also from a private litigation perspective. So we have been familiar with consumer class action complaints in the United States for a long time. We’ve got a very robust process for prosecuting companies that advertise diet pills that don’t work or products that fall apart. So I think we’ll see an explosion in private class actions, but again, because of the digital nature of this industry oftentimes these people are not based in the United States, so establishing jurisdiction and finding who they are might be more challenging. Has there been a situation where these things have been litigated, where they’ve been in court, and a company running one of these fraudulent ICOs has actually tried to defend its practice of, say, totally fictionalizing its executive team, or plagiarizing or Frankensteining white papers? There are a handful of SEC cases that have been filed in the last year, and most of them are against obvious frauds. So the SEC so far has only taken a couple of actions where the issue before the court is really just unlicensed, unregistered trading of securities. The vast majority of their enforcement actions have been against fraudsters. But where those stand procedurally is, you know, often than not it’s a permanent injunction, because the SEC may or may not have the actual identities of the people behind the fraud. We haven't seen a lot of contested litigation yet, so we haven't seen individuals, to your point, saying, “Well, you know, it was my creative license” or something to be able to use these stock photos or to pull somebody else’s LinkedIn photo. You know, I think when the Wall Street Journal identified some of these problematic ICOs, they reached out for comment and more often than not these people are probably in a boat in the middle of the Mediterranean at this point and they're not responding to requests for comment. So, not yet. What about in the private litigation space you were just referring to? We’re only just beginning to start to see class actions, I would say within the last two months or so, as plaintiffs’ attorneys are starting to become more sensitive to this niche. So again, I think the big class action plaintiffs’ firms are going to be a little bit skeptical of investing too much time and resource into this type of litigation because if these individuals are hard to identify, or you can’t identify a basis for jurisdiction in US court, then they're going to be wasting their time. So I think we’re going to have to see how this all plays out. It seems like there’s a particular irony in all of this. At least in theory, a lot of the hype around blockchain has to do with its being secure and hack-proof and fraud-proof. It’s billed as a more secure and safe kind of technology. Yet we’re hearing about all these scams and the fraud that happens in this space. Do you think that these fraudsters are leveraging that positive perception of blockchain to give people a false sense of security? Yeah, that’s a great question. I think there is an underlying draw to the idea that we could operate in a space that gives us a lot more protection over our data, whether that be financial data, medical record data, transactional data. And blockchain provides that promise and is a super-exciting space. And so whether individuals are gravitating towards that space because they actually need that level of privacy and protection or they're excited because of the commercial benefits to it, it certainly is attracting a lot of interest and appeal. And I think that fraudsters are aware of that. They're aware that there’s this whole space on Twitter with people following different blockchain companies and trying to figure out how they can make a buck off of watching this all commercialize. I also think, though, that the investing public is starting to become more aware that virtual currencies may have no underlying connection to blockchain, and the link there has to be closely analyzed. I mean, just because I decide I’m going to create Emilycoin and now you can purchase Emilycoin and use it to purchase commodities, go to the grocery store, make a real estate purchase, that doesn’t mean that my underlying Emilycoin is backed by blockchain. It could be just like a normal gift card. And so I think folks are realizing that you have to be skeptical and really study what the underlying product is and whether it’s living up to this promise of blockchain. Obviously you are really shining a spotlight on the fraudsters out there. But you also made the point that your line of work is actually representing legitimate crypto-type companies or blockchain-based companies. It sounds like they're on the vanguard of being the ones who want fraudsters to be identified and who want clarity on a lot of these sort of issues. Is that right? I think that’s absolutely true. I mean, the market will function with a solid group of legitimate players. Nobody is saying we only want a few key industry players. But the way for it to really work is for people to be able to trust it. And going back to the point about the underlying promise of blockchain, implicit in all of that is trust and a way to confirm transactions and confirm security. Likewise the space in general, whether or not you have a blockchain-based technology, you need trust in order for investors to get in the market, in order for you to go to a third party and say that your technology is something that could be used in the financial space, the medical space, the research space or whatever. You want to be able to sell your product in a way that you know that the end user is going to feel confident about using it. And so the quickest way for us to be able to really see that happen and make that a possibility is to make sure that the fraudsters are finding their way to the door and not using this space to raise $10 million and then disappearing on a yacht somewhere. So I think it’s incumbent upon anybody in the industry to talk about it and just make people more aware. Because the quickest way to shut this down is to make sure that people don’t give them money, you know? Looking at the individuals that I represent, while they have diverse interests and they're in different aspects of this space, a common interest amongst everybody is to get the rampant crime out of this space. Emily Renwick Garnett is an attorney with Brownstein Hyatt Farber Schreck, with deep regulatory compliance expertise, as well as a background in public policy, litigation, and consumer protection. She advises virtual currency businesses, fin-tech companies, collection firms, and hospitality companies on state by state licensing requirements and federal regulatory issues. Emily’s practice also includes performing mock audits, conducting company trainings and designing compliance protocols and procedures for public and private companies. Emily also conducts internal investigations on behalf of public and private companies and provides comprehensive counsel to help clients avoid litigation by advising them on their compliance strategies. Emily’s practice regularly brings her into federal and state court, including cases before the U.S. Securities and Exchange Commission, the Department of Justice and the Colorado Attorney General. Emily’s public policy background, including working on the legislative draft of the Dodd-Frank Act, and active role in state party politics, positions her to provide insight on the relationship between litigation matters and financial regulations.